Finally some good news. This firing went so well and I am so thankful. Nothing cracked, fell apart or melted! 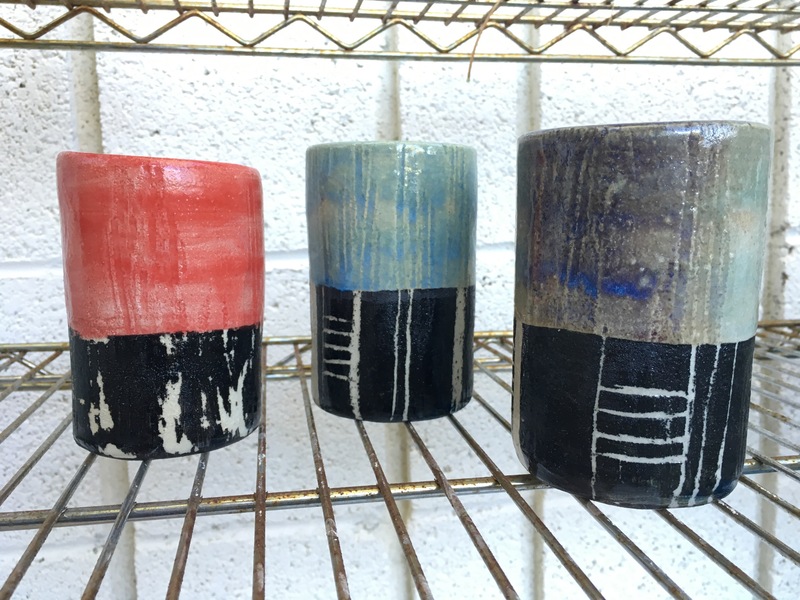 I flipped my clay when centering to ensure even compression in the tumblers. I purchased a greenhouse to use as a wet cabinet, allowing my work to dry much more slowly. I put the little hearts on the bottom shelf. This tends to be the most volatile and dangerous area. 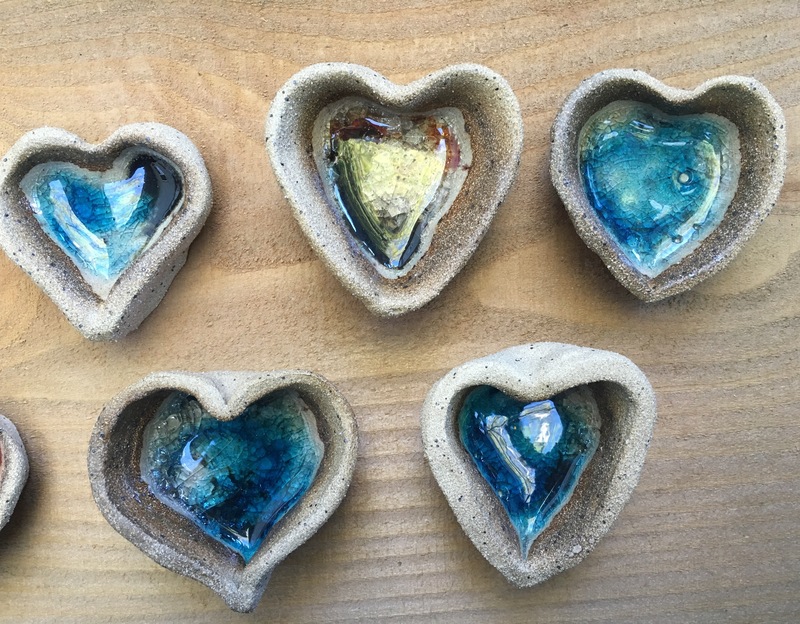 I figure the hearts are simply little pinch pots and can handle that sort of attention. I am recognizing that my kiln is not going to make delicately, pristinely fired work. It is a raku kiln after all! Work that is closer to the propane side tends to get over-fired, so I think I will just leave that area empty from now on. I used Coyote glazes for the tumblers and will be sure to put on a third or even fourth layer to get better coverage. The snowflake white is the glaze around the top of the tumblers. I don’t think I mixed it properly when I made it and find that the coverage is lacking. I may just brush it on from now on. Or I suppose I can make another batch. The planters are just beautiful and I’m thrilled with how they turned out. They are painted in underglaze, then dipped in the SG-157 clear glaze. 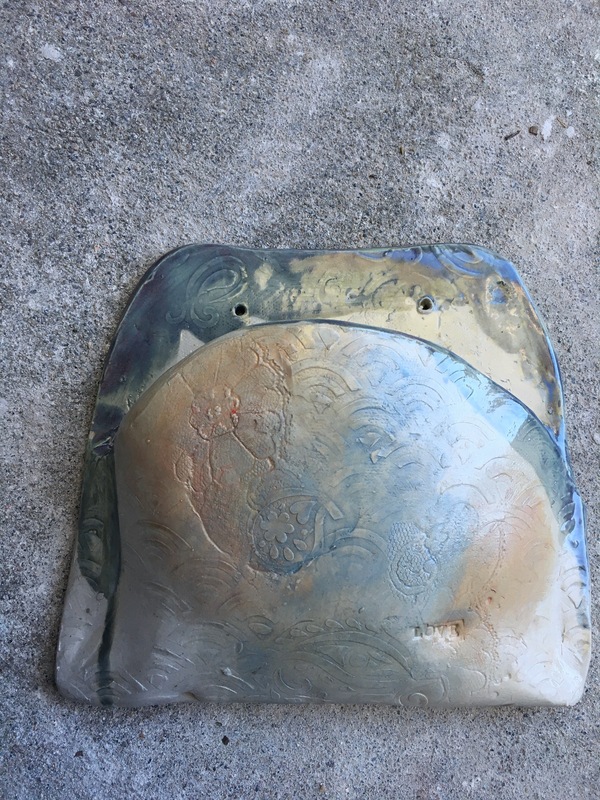 I have had several other firings in this kiln before I started writing blog posts. So when I say that I’m frustrated it isn’t because after 2 firings I’m giving up. I am wondering if a day will come when I will open the kiln with glee and 95% of the ware is useable. That day is not today. For the master potter reading this please keep in mind that I am very new and very learning right now. The first problem I’m noticing is that the bottom shelf is very hot. Possibly cone 7-8 hot. I need more cones to know for sure. The middle shelf hits cone 5 just fine and the top of the kiln just makes it over cone 4. So the heat is not dispersing well. Possible solutions – plugging up peep holes? My concern is lack of oxygen. Maybe a reduction environment isn’t as bad as I thought. I originally thought that it was to blame for the more grey than white colors, but that seems to be a clay issue. Nothing came out pure white, but it is looking better than the 1/2 and 1/2 with clear glaze. I am wanting to see pure white finishes and just not getting it (haven’t tried a lot of variations). I dipped some work in porcelain slip. The 1/2 and 1/2 dipped in porcelain looks quite nice. I’d still like a shinier, more brilliant white, so I’ll probably look into other clays and white underglaze. I had a solid amount of cracks today in what would have been beautiful pieces. I think there are a few factors lending towards this. 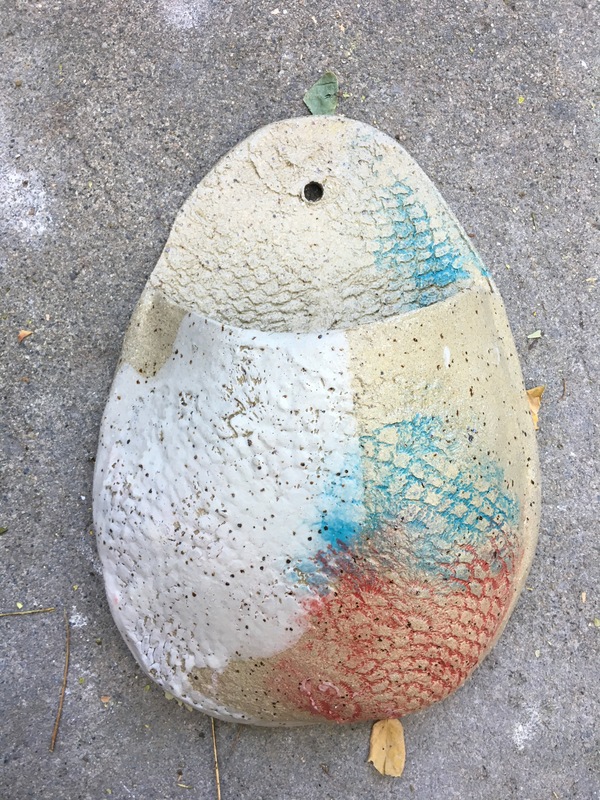 1 – I have been drying my work way too quickly. I just received my mini greenhouse order and this should help the problem. I haven’t had a damp closet to store my pieces. 2 – I haven’t been wedging anything. I don’t know if this works for the planters though because those get run through the slab roller. 3 – Over firing. I’m pretty sure that’s my biggest enemy right now. I need to learn about distributing the heat more evenly in that beast of a kiln. 4 – Many of my thrown pieces developed s cracks during the bisque firing so they didn’t make the cut to glaze. This is most likely due to lack of compression and no wedging. I apologize. No more short cuts. The magnolia mugs are AWFUL. I’m so embarrassed. There are large bubbles in the mugs. Not the glaze (more on that in a moment). In the mugs. This probably indicates poor compression. Again from not wedging. On top of those bubbles the glaze blistered in an impressively terrible way. I should have known something was wrong. When I dipped the mugs into the glaze, it didn’t dry. It took almost an hour for the glaze to dry. So something was fishy there. So I have a giant BBQ of a kiln that I need to play with to achieve somewhat more refined results. I purchased the kiln because I could only buy one and I want to do raku someday. I couldn’t buy an electric kiln because I don’t have access to the 240. I’m frustrated because I never had problems like this with the electric kiln in the high school, so I know that my job is to learn the ins and outs of this beast I’m working with. I can’t afford another kiln. I could possibly ask the school if I could use the school’s kiln and pay per load, but frankly I don’t want to spend time there anymore. After reading some posts from the online ceramic community I can confirm that working with an Olympic Torchbearer is not ideal. No one seems really happy with them and it appears that most people purchase them out of affordability. This makes me feel better and worse. Better because the work I’m doing is suffering PARTLY from the beastly nature of the kiln. 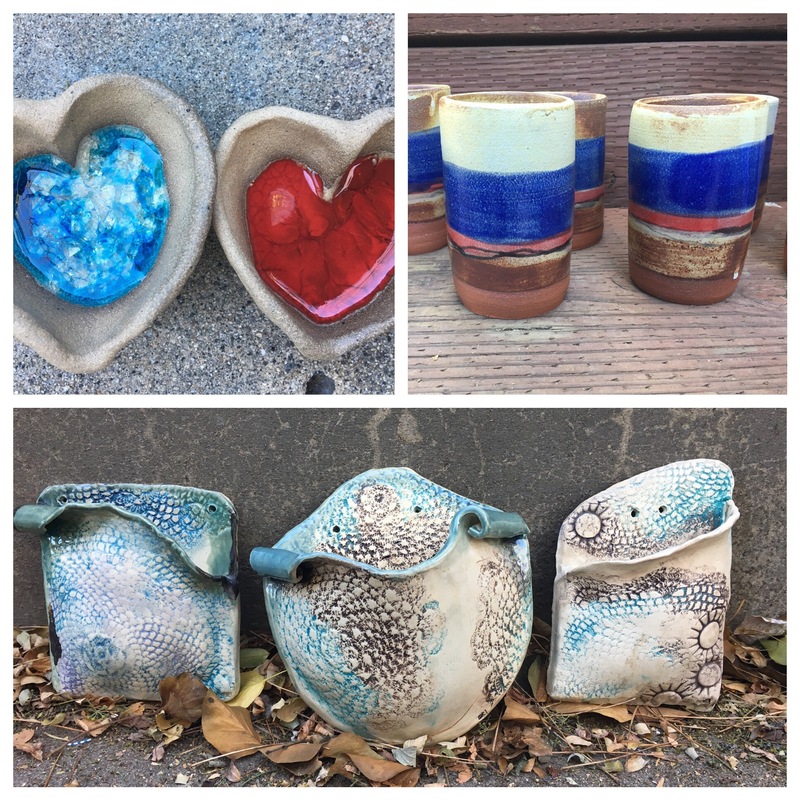 If I recognize the kiln’s limitations I can make work designed to be successful in that kiln (thinking rustic, earthy work). Worse because I want to create delicate, beautiful work. This means I will need to purchase a new kiln in the future AND I need the proper outlet. Now I could put the kiln in my new studio space, but the electricity in that building is TERRIBLE and I wouldn’t trust it to support the 20 amps needed. So that involves hiring an electrician to do a lot of work and I don’t know maybe I’ll just paint more portraits. This is where my gofundme account gets created and suddenly I have everything I need. Worst of the firing: Magnolia mugs. I’m so embarrassed. I can’t even. Best of: This style of planter is working quite well for me. I need to make about 30 next time and stop experimenting with things that aren’t working yet. After writing this post I did a little more reading. The ware all suffered from a severe overfiring. Unloading this morning. I woke up at 3:30am and couldn’t fall back asleep. I waited until the sun peeked out to unload the kiln. I was mostly dreading it. Yesterday I’m using a gas kiln. Finally, I figured out how to have a great oxidation fire. The entire firing was super clean and hot. 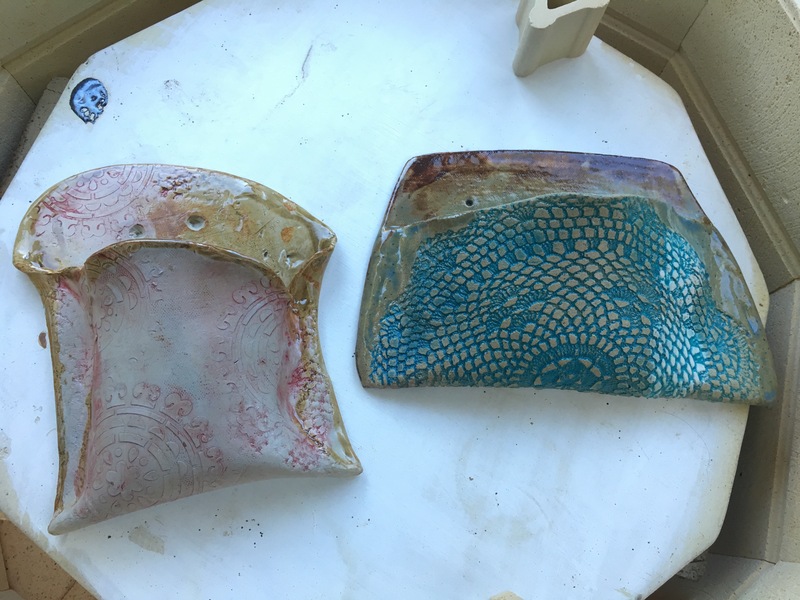 The cones bent, I shut the kiln up and turned off the burner. The MAIN burner. I forgot to turn off the little knob that controls the smaller flames. So my kiln sat in reduction for HOURS. When I figured out my mistake I opened the damper for a bit to see waves of carbon pouring out. I shut the damper due to immediate clinking and sat on my bed for awhile staring at the wall. What I came up with is this: I can’t control what happened, I’m glad it happened on a test load filled with not so great items and not a future load of beautiful things I spent more time on. I know it could have been much worse, I was just bummed. Fast forward this am. Opened the kiln, not TOO bad. A LOT of color seems to be missing from some of the wares. This could also be from not enough layering (I don’t have dipping glazes set up yet). Examples of missing colors. Just brown and icky. These were supposed to be my test tiles. Middle shelf, achieved. Top shelf – cone 4, cone 5 bent incomplete. Paint detailed underglaze work on greenware. It looks stupid if I paint it on bisque. Smudgy underglaze is ok on bisque. I don’t like the results with throwing the Laguna half/half clay and it hurts my fingers when I throw. Looking for a less groggy clay. What do you throw with? A series of tiny cracks around the bottom appeared in most of my mugs. 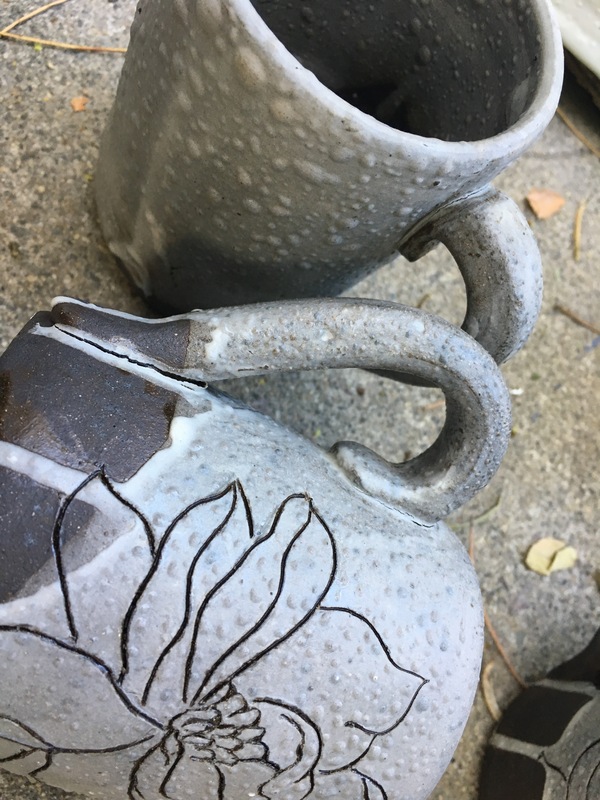 I looked this up, probably S cracks from poor compression and leaving water in the bottom of the mugs when throwing (I have been a little guilty of Camp Swampy). Attaching handles, make sure that handles and mugs are same dryness. Glass frit works GREAT in the kiln to Cone 5. The colors changed or burnt out a little in the pale purple and the blues, but some really beautiful results. I’ve made wall planters before and often struggle getting a complete seal on the bottom. A quick solution I found is to fold an entire slab in half. It ensures the bottom is totally sealed and looks nice. You’re welcome. One of my wall pockets cracked in a major way. I forgot where I put it in the kiln, but thinking it was the clay. The jewelry did not turn out as expected. The clay needs a glaze to appear a deep black. The gold glaze was either over-fired or under applied. It has a shimmery golden quality, but mostly looks black. It looks the most gold on the bottom of the earrings which is where the glaze pooled when dipped. Some cute, but not so exciting tumblers. I really need to be dipping my glaze. Overall I think this was a great learning load, but not a lot of product that I’m thrilled with. I feel humbled and grateful for it. I have a lot of work to do and I am not a master potter (must keep telling myself this). 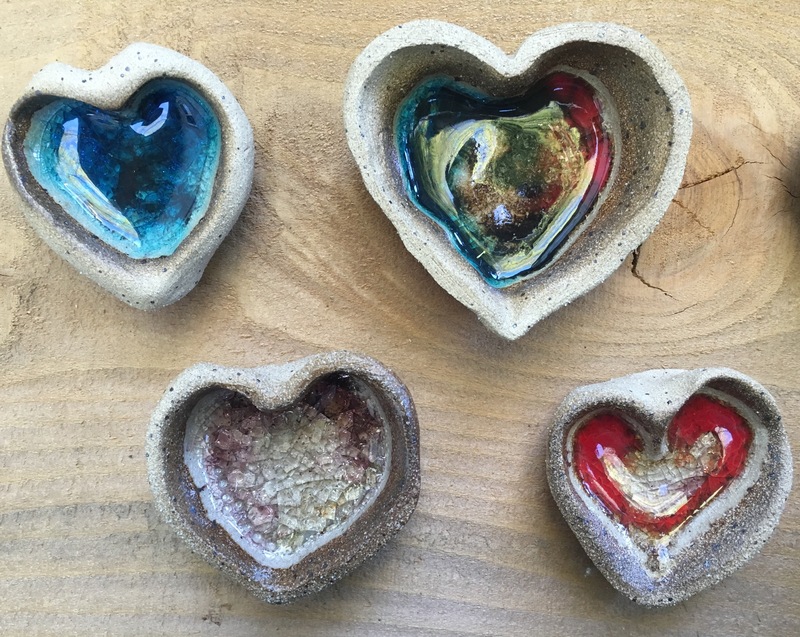 What do you do with bad ceramic work? Every load I am going to photograph the best and the worst of the load. I think it will be fun to see how my standards change over the years. I liked the glaze results in this mug the best. Also it has a nice shape and good handle attachment. Icky colors, grey finish in the glaze/clay. I paid zero attention to what I was painting and it shows.